Most of the people throw away or burn wooden pallets, but do you know you can upcycle and make things out of them? With these wonderful pallet ideas for the garden, we’ll show you their reuse. 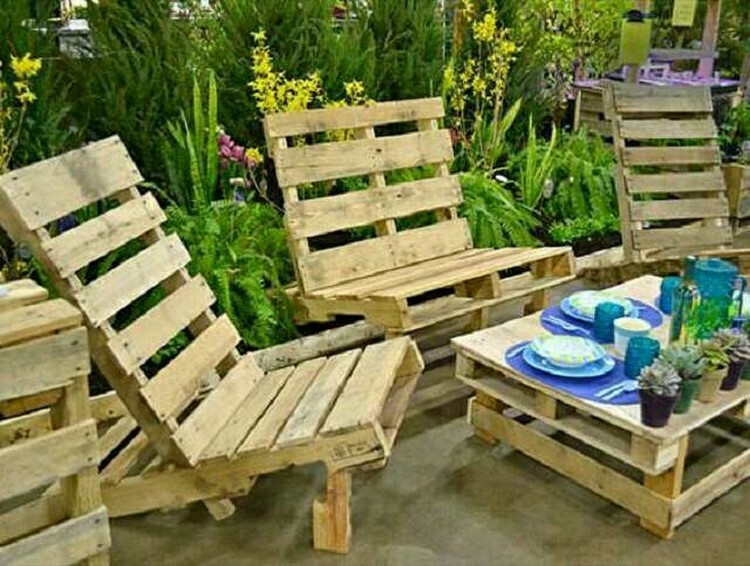 Light and handy, pallet furniture are easy to move, their woody appearance and smell blends them into the surroundings of a garden, plus they are cool for seating. Check out this tutorial if you want to make pallet furniture yourself. 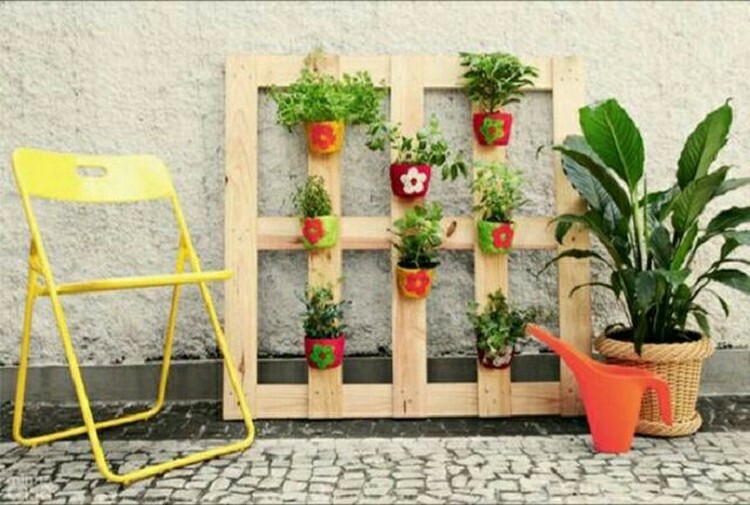 You can hang lot of small pots on such a pallet board and grow flowers and herbs like balsam, portulaca, parsley, cilantro, basil and rosemary. You can find pallets for this easily, it is perfect for a small space garden. Swinging in a warm summer evening could be a best pastime in your garden. 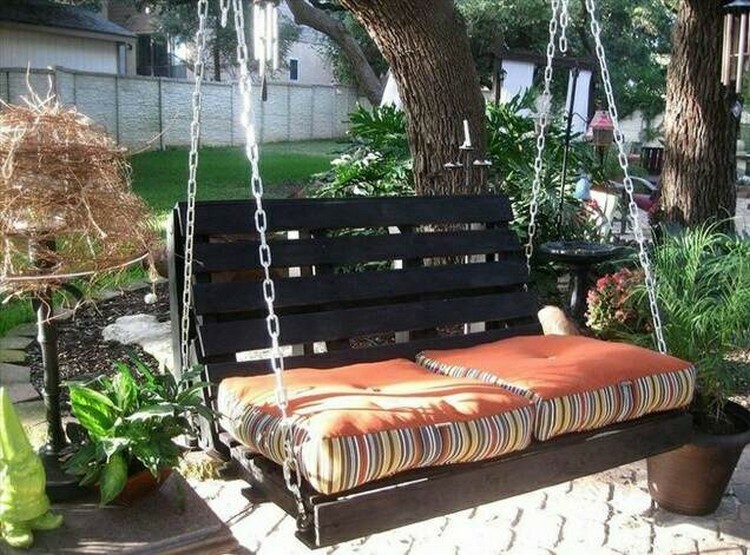 If you buy one, pallet swings are cheaper and in fashion or you can make your own, taking help of educative DIY articles and YouTube videos available on the web. This pathway is made out of wooden planks, disassembled from pallets and joined together on the ground. 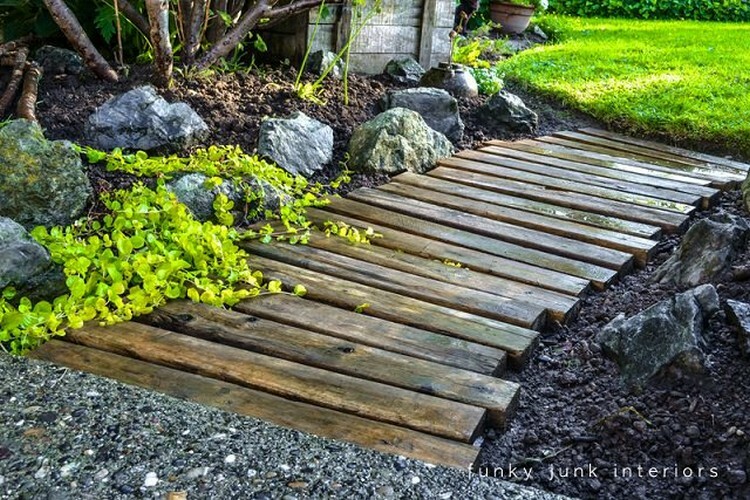 You can create terrific garden paths from planks. Read more on inspiring garden path ideas. Have pallets? Make planters and grow plants in them. 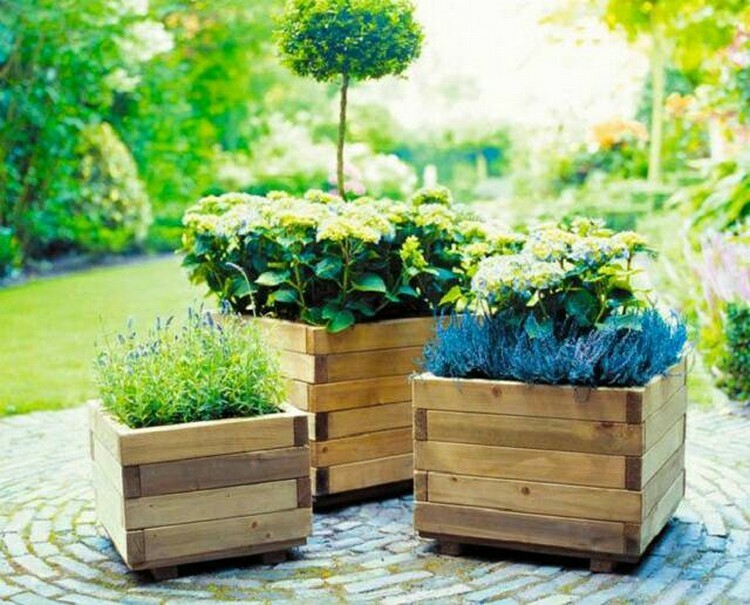 Quality of such planters depend upon the pallet wood you’re using. If you’re growing edible plants, prefer pallets with ‘HT’ label, which means heat treated and free from chemicals, which are used to prevent termites. Learn how to make a pallet planter. Instead of buying a seed tray you can make your own and germinate young plants in it. For this, you’ll need dismantled pallet planks, chisel, hammer, saw and a few nails. 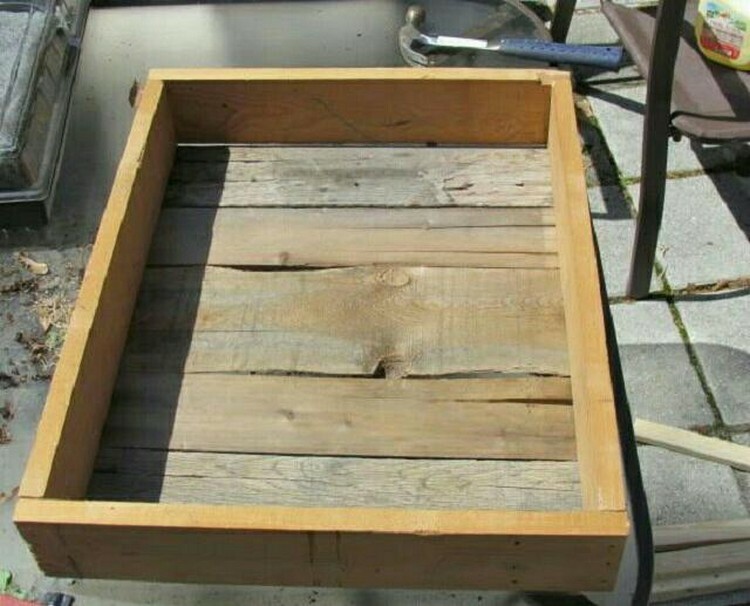 Read this educative DIY article on making a seed tray from pallets. 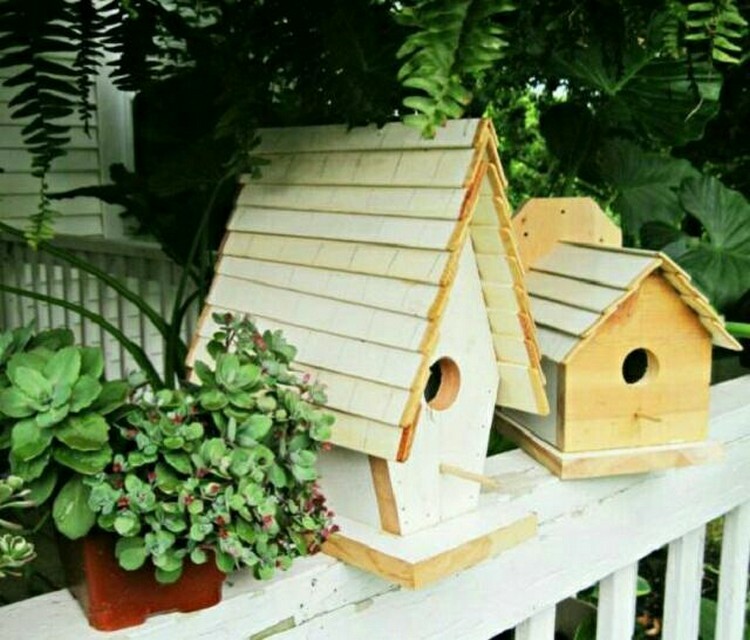 If you’ve DIY knowledge and creativity, making a birdhouse from pallet wood is not a big deal for you. Wooden birdhouses are best and attract birds for real. Additionally, you can decorate it by gluing twigs all over it, so that it will camouflage in surroundings. You can read more about interesting ideas using twigs. 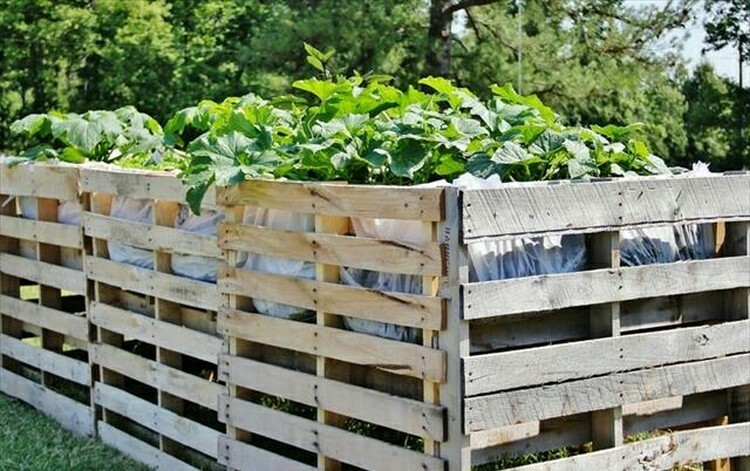 Raised bed made out of pallets are great way to grow plants. 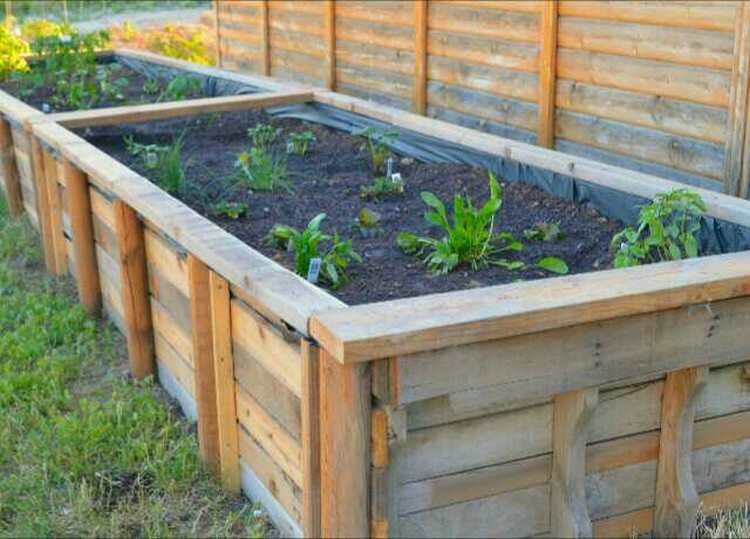 Read the sfgate’s instructive post on how to make raised beds from pallets. Shipping pallet compost bins are good if you’ve lots of organic matter to decompose. 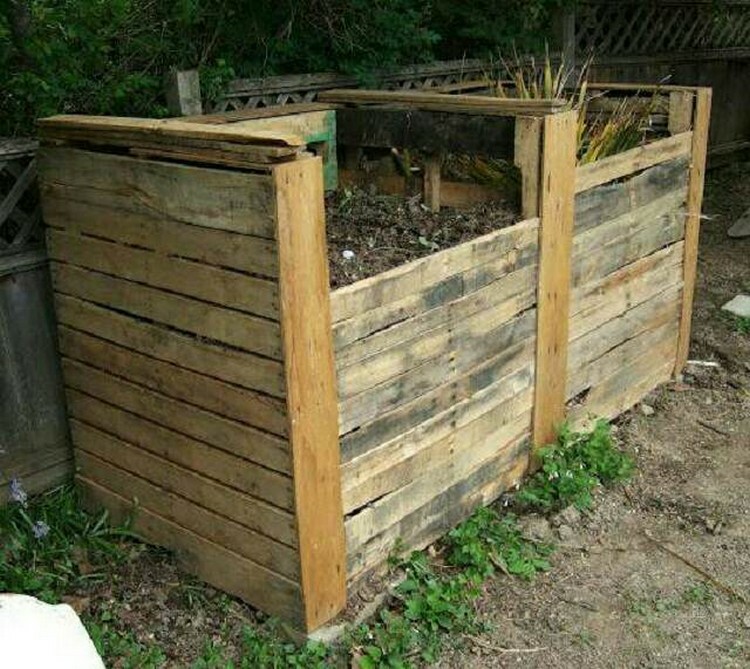 You need four similar pallets of regular size to make a compost bin. Bins made out of untreated wood are better. Bee house made out of untreated pallet wood can be a great refuge for solitary bees. Solitary bees don’t bite and are excellent pollinators, you’d like to have them buzzing in your garden. 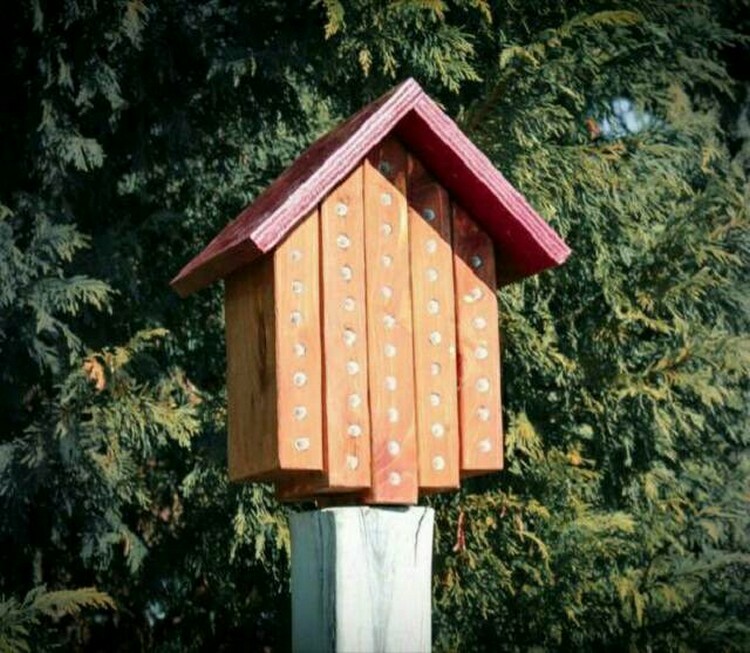 Learn how to make a mason bee house. Pallet fence is easy to build and cheap, all you’ve to do is to join some pallets and your fence is all ready to guard your garden, but this type of fence is not so tough. To make a sturdy fence: tear down pallets and remove planks from them and join them with pickets. Window box and the beautiful flowers growing in them add a charm to the outside of any house. 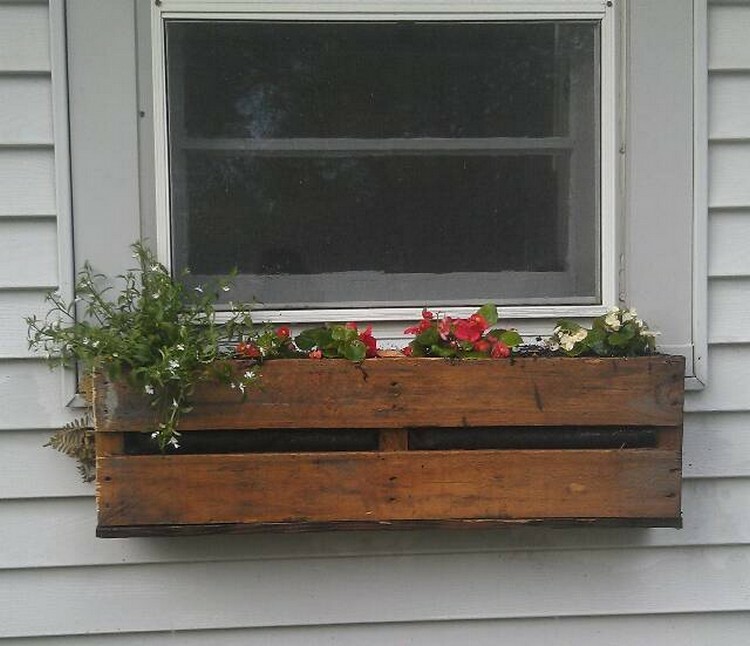 Make a window box from torn down pallet wood and paint it according to the color of your exterior, grow annuals in them. 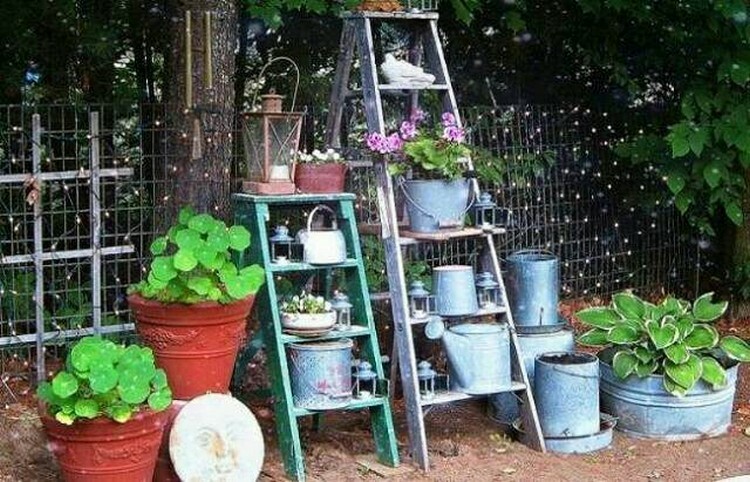 Ladders not only used to climb up but to design and provide a focal point to a garden. You can make small ladders from pallets and use them in landscaping and garden design. 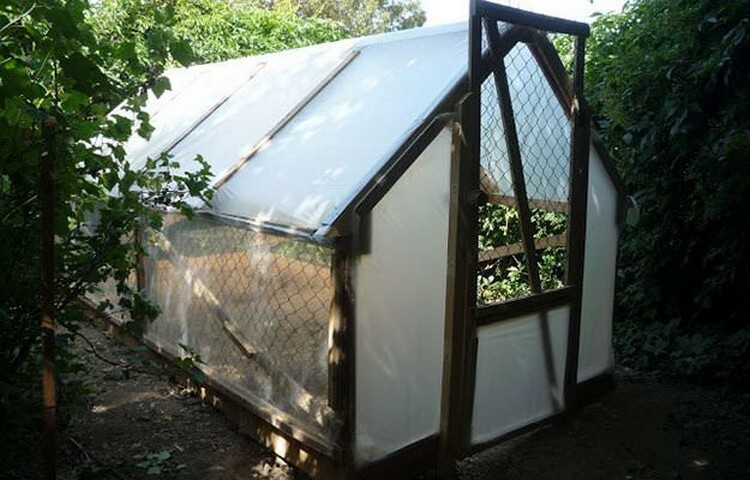 This recycled pallet greenhouse can be made with only $10. You can make one for yourself, read this post. If you don’t have pallets, you can search websites like craiglist for this or roam around your area to visit construction sites, small businesses and stores, ask them and they’ll give you all for free because you’re saving their crammed space too.